The current conceptualization of threat processing in anxiety emphasizes emotional hyper-reactivity, which mediates various debilitating symptoms and derangements in anxiety disorders. 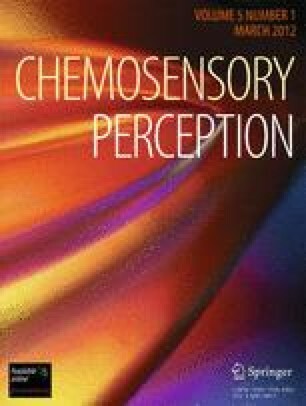 Here, we investigated olfactory sensory perception of threat as an alternative causal mechanism of anxiety. Combining an event-related functional magnetic resonance imaging paradigm with an olfactory discrimination task, we examined how anxiety modulates basic perception of olfactory threats at behavioral and neural levels. In spite of subthreshold presentation of negative and neutral odors, a positive systematic association emerged between negative odor discrimination accuracy and anxiety levels. In parallel, the right olfactory primary (piriform) cortex indicated augmented response to subthreshold negative (vs. neutral) odors as a function of individual differences in anxiety. Using a psychophysiological interaction analysis, we further demonstrated amplified functional connectivity between the piriform cortex and emotion-related regions (amygdala and hippocampus) in response to negative odor, particularly in anxiety. Finally, anxiety also intensified skin conductance response to negative (vs. neutral) odor, indicative of potentiated emotional arousal to subliminal olfactory threat in anxiety. Together, these findings elucidate exaggerated processing of olfactory threat in anxiety across behavioral, autonomic physiological, and neural domains. Critically, our data emphasized anxiety-related hyper-sensitivity of the primary olfactory cortex and basic olfactory perception in response to threat, highlighting neurosensory mechanisms that may underlie the deleterious symptoms of anxiety. Thanks to Lucas Novak for help with data collection. Parts of this research were funded by a Training grant from the National Institute of Health T32-MH018931-22 to E.A.K.